Many professionals dealing with the business aspects of clinical trials are unable to attend traditional industry conferences on an ongoing basis to develop their skills and continue to grow in their field. 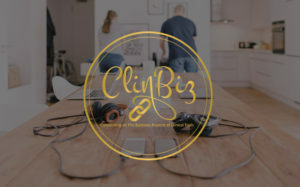 ClinBiz hopes to bridge this gap by providing a non-traditional format including a YouTube channel, a blog, a podcast, an annual conference and upcoming online courses that will serve as a connection and development tool that clinical business professionals can use to remain on top of the latest trends, topics and technologies related to their trade from virtually anywhere. 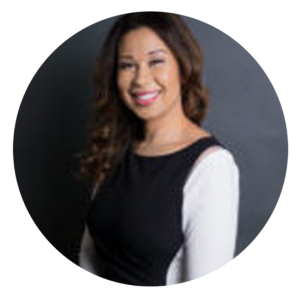 Most recently, Débora’s passion for driving practical change along with her forward thinking bent led her to launch ClinBiz (clinbiz.com) to connect professionals on an ongoing basis on the business aspects of clinical trials. 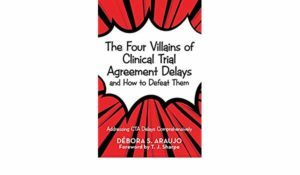 In the beginning of 2018 Débora release her book titled The Four Villains of Clinical Trial Agreement Delays and How to Defeat Them: Addressing CTA Delays Comprehensively. This book is a must-have for professionals looking to add on to their CTA negotiations toolbox!